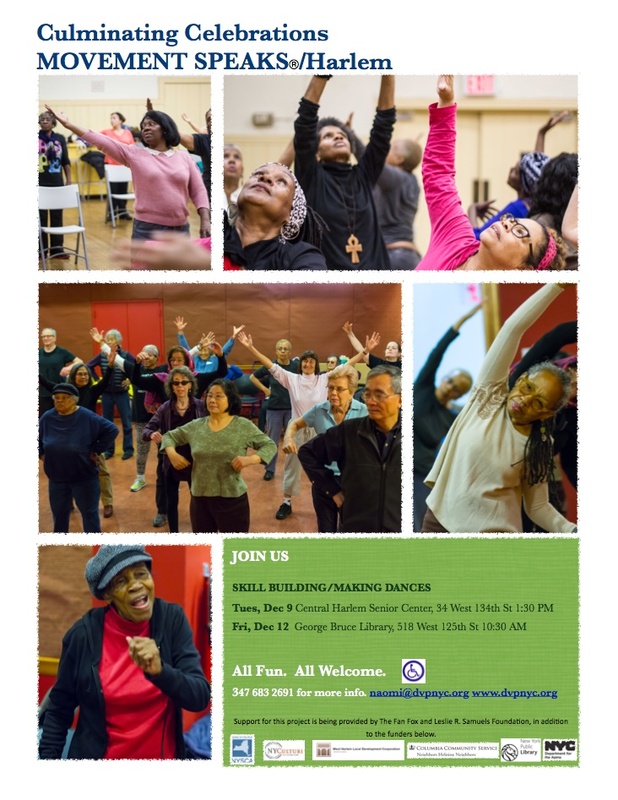 City Council Member Inez E. Dickens and State Assembly Member Keith L. T. Wright have recognized Naomi Goldberg Haas for her contributions as a woman and “unsung hero” to the community, praising her as someone who has made significant positive changes with her work. 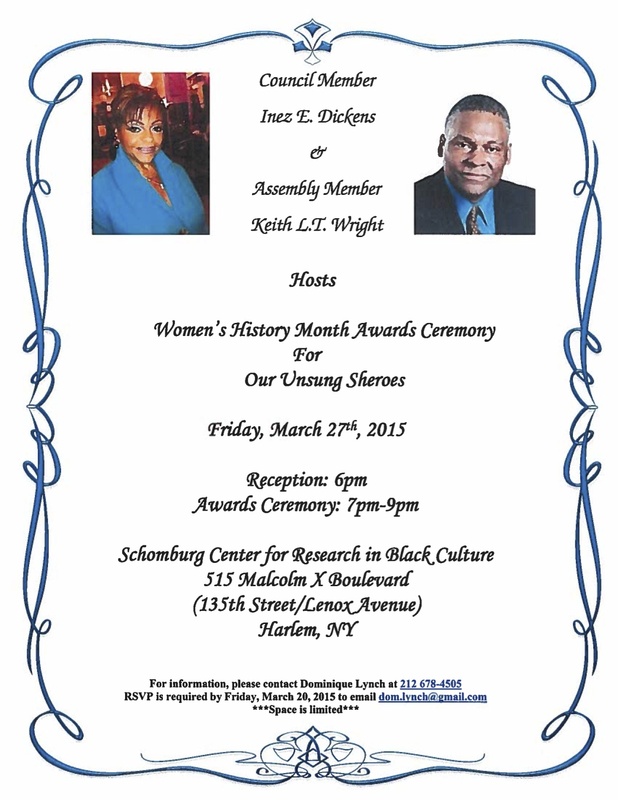 The award ceremony will take place Friday, March 27 at the Schomburg Center for Research. 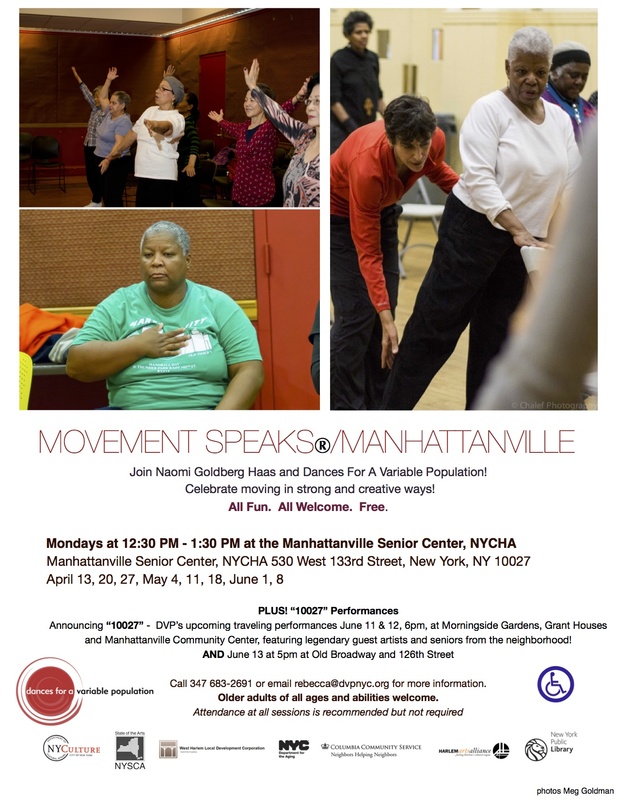 Please note: these sites may not be aware Movement Speaks® programs are running, but assume that if the site is open, the program will run. 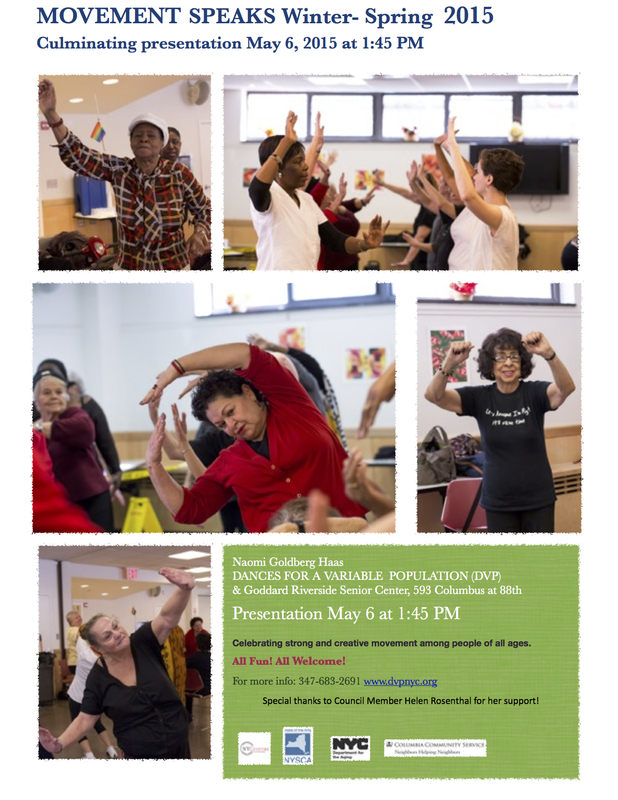 Naomi Goldberg Haas will bring an interactive workshop sharing Dances for a Variable Population’s methodologies for working with older populations in movement. 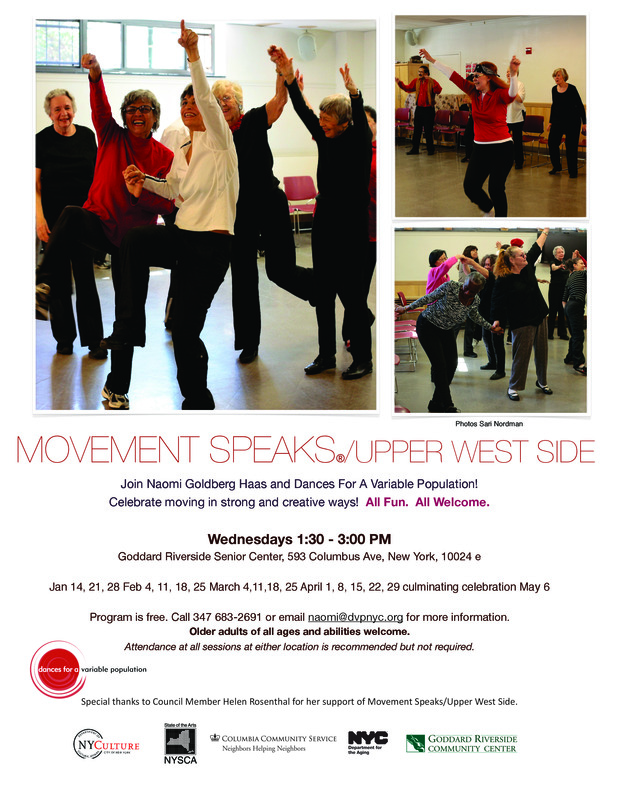 The 1.5 hour workshop will draw from DVP’s signature programs MOVEMENT SPEAKS® and DANCES FOR SENIORS with elder communities. 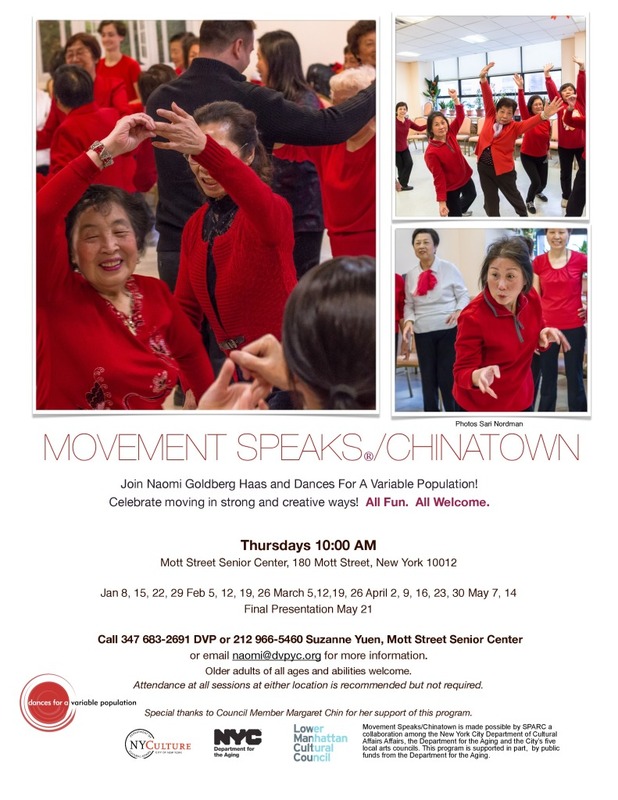 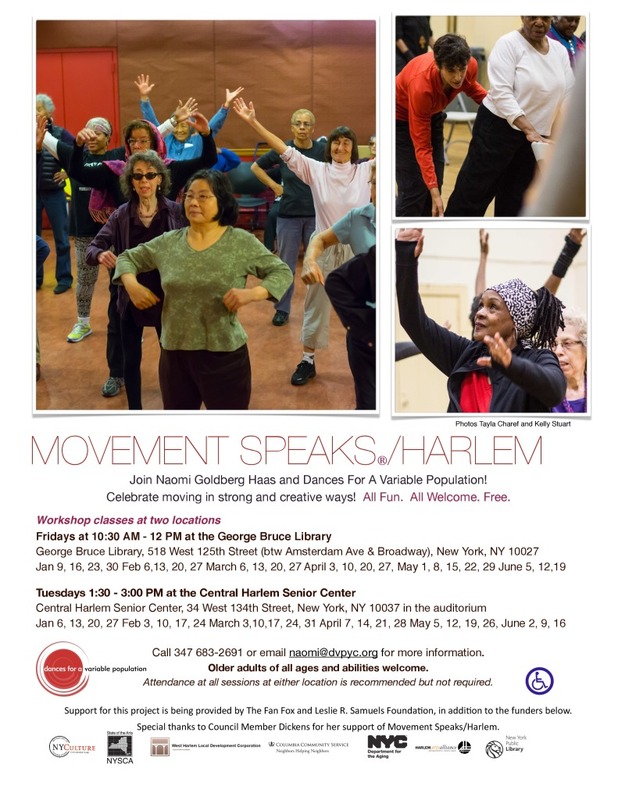 Join us for the culminating events for Movement Speaks/Harlem on December 9th and 12th.